Ladies, we all know how it feels to be rushing around trying to get our tasks done for the day. It can be an absolute whirlwind of coffee, driving, and endless phone calls! By the end of the day, you may find yourself not having any energy to do anything, let alone focus on your nightly skincare. Sometimes, all you need is a little push, a little something new and exciting to get you in the mood for skincare. DIYs are great to do by yourself in your free time (what little of that you may have) or with friends! I’m going to share with you one of the simplest, easiest, DIY eye masks ever. There are many eye masks out on the market, but this one will knock your socks off! You’re going to start off by gathering your supplies. You’ll need a package of cotton rounds, scissors, a mason jar, green tea bags, and water. Some of you may be asking, why green tea? Well, this awesome tea has a mountain of benefits associated with it! A few examples are that it can repair skin damage and has anti-inflammatory properties. Often times, we all know our eyes look tired from long, busy days. Green tea will help perk your eyes right up! You’ll want to start by cleaning your jar and then setting it aside. While you’re finishing up that, you can begin brewing your green tea. As the tea is brewing, go ahead and halve your cotton rounds so they look like cute little crescent moons! Stack the cotton crescents into the mason jar, wait for your tea to cool, and then gently pour the tea over the crescents and into the jar. Stick your eye masks into the fridge to let them cool off further, I usually use mine the next day so the tea has time to really steep into the crescents. 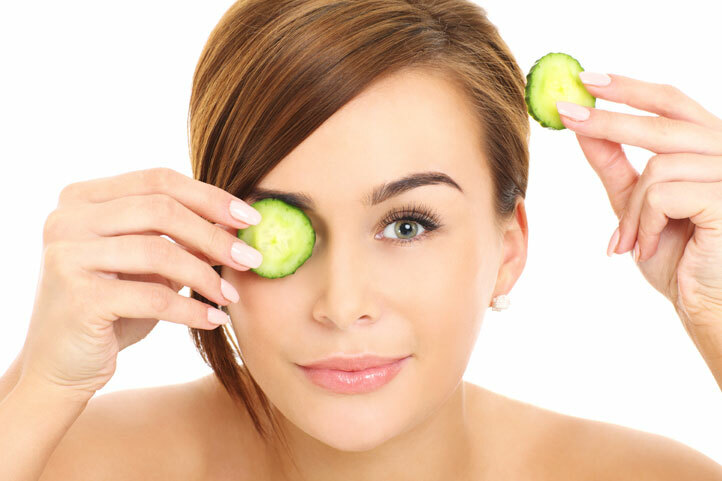 To apply them to your eyes, simply pull out two crescents and put them under your eyes for 15 minutes. After you take them off, you’ll feel refreshed and ready for anything!